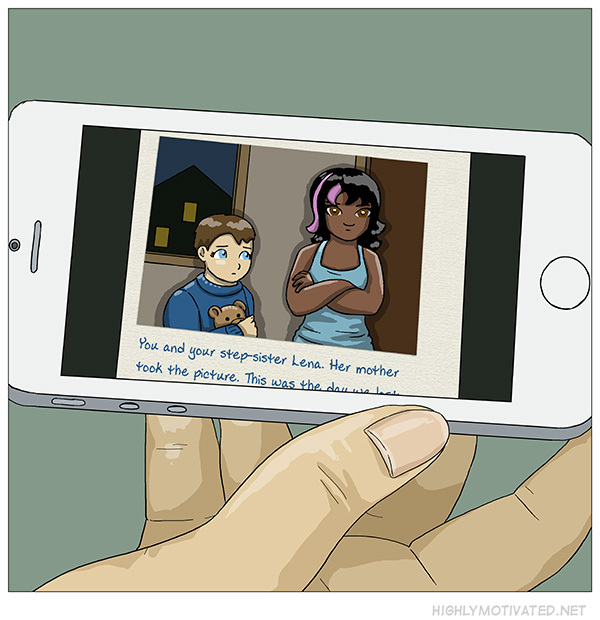 It’s a drawing of a cellphone showing a photo of a photo album. Lena talked about that day here. ohmygosh Sarah at one point dyed her hair like her big (half-)sister, that is so sweet/adorable!